While the government is going ahead with amendments to the Right to Information (RTI) Act aimed at seriously and adversely affecting the power and dignity of information commissions, which will effectively kill the Act, no less serious is the government’s lack of will to prosecute alleged killers and assaulters on RTI users, thereby emboldening nefarious elements to threaten and kill whistleblowers. 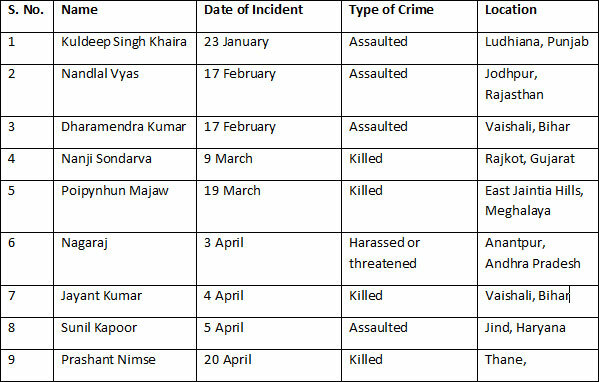 Nine murders and eight assaults on RTI activists have been reported so far from all over the country in 2018 alone! 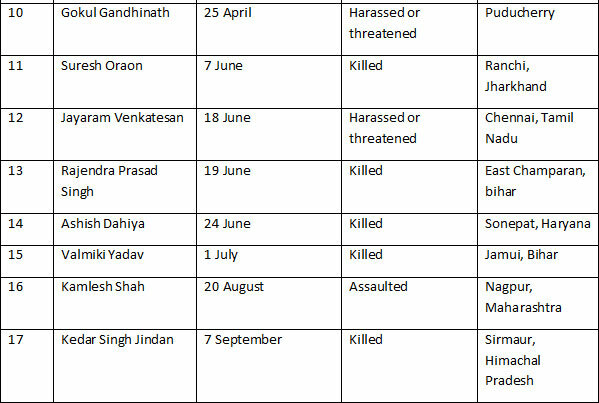 Satish Shetty was the first ever RTI activist to be killed in 2009. The now tainted Central Bureau of Investigation (CBI) had carried out thorough investigations and had named 13 accused that include a well-known businessman close to senior political leaders. Ironically, the CBI now wants a closure of the case which is dragging on. On 7 September 2018, Kedar Singh Jindan, a Himachal Pradesh activist was ruthlessly killed. As per the press release issued by the National Campaign for Peoples' Right to Information (NCPRI) (which has appealed to the chief minister of Himachal Pradesh for a thorough investigation), he was first brutally assaulted and then crushed under an SUV in broad daylight near his house in Shillai, Sirmaur district. Last week, a citizens’ committee, which investigated into the Jindan murder matter, published a 13-page report which provided an insight into the brutality, modus operandi and motive of the murder. His family has appealed for a CBI inquiry. "The Commission, therefore resolves that if it receives a complaint regarding assault or murder of the information seeker, it will examine the pending RTI applications of the victim and order the concerned department(s) to publish the requested information suo motu on their website as per the provision of the law. "The matter was discussed in the Commission’s meeting held on 5 June 2018. The Commission has decided that in case of death of the appellant/complainant the case would be heard as usual as a second appeal/complaint and the decision would be put up on the website." Sadly, the order has remained on paper. 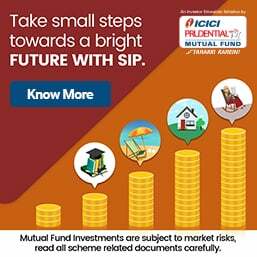 The culprits are growing more and more brazen in silencing whistleblowers of RTI, which reflects the failure of the public authorities and the CICs to ensure that the former adhere to the suo motu disclosures under Section 4 of the RTI Act. And therein lies the most serious complacency! Sad to learn about the travails of these brave people. Not too long ago, that is, on 8 August 2018, in response to an unstarred question in the Lok Sabha on the subject of ‘Online RTI Applications,’ Dr Jitendra Singh, minister of state in the prime minister’s office (PMO), had stated that only citizens of India have the right to seek information under the provisions of the Rght to Information (RTI) Act, 2005. “Non-Resident Indians (NRIs) are not eligible to file an RTI application,” he is reported to have stated. Would that mean the NRIs are not citizens of India? In that case, what is the government’s definition of an NRI? In fact, the government, in its circular in 2013 had stated under ‘Right of NRIs’ that “…under the current provisions of the RTI Act, NRIs can file RTI applications seeking information either from a particular Mission or Post abroad or from the Ministry of External Affairs (MEA) itself. Accordingly, a fee of Rs10 per application, equivalent in local currency is accepted by Missions and Posts abroad.” Despite this, the minister made a statement, in August 2018, that NRIs cannot file an RTI application, although they have been given the facility in over 176 countries through missions and posts. Certified scanned copies of a complete set of documents and notings relevant to Lok Sabha unstarred question No. 3535, starting from the time the question was first received in DoPT up to the time a response was finalised and forwarded to the Parliament (Lok Sabha). As DoPT failed to provide the information, Cmde Batra filed a complaint to the chief information commissioner (CIC) saying that, since the DoPT did not respond to his RTI application, it should be treated as deemed refusal to provide information as per Section 7(2) of the RTI Act. Hence, he appealed to the CIC to inquire into the matter and take appropriate action and also impose penalties under Section 20(1) & 20(2) of the RTI Act. Cmde Batra also pointed out that, in 2013, when eIPO facilities for filing RTI in most Indian missions abroad were made available for Indians residing abroad, the term NRIs was used by the MEA. To prove his point, he provided a 23-page document which the MEA and the PMO had sent him, when he had earlier asked for these documents in 2013. He pointed out that the deliberations with MHA concluded that NRIs are Indian citizens. Commodore Batra is patiently waiting for the CIC hearing. When we talked about this for Law, even Registrar of Companies Gujarat , Ministry of Corporate Affairs and all offices can not understand what is Fraud? Mere Book entry of Profit and much more frauds? See Gujarat High Court case Company Petition No 17/1996 Merger case Judgment of Ratnamani Engineering Limited where full fraud proved on records by documents and done a way with disposed off. Registrar of Companies Gave consent to Fraud? Advocates like Chartered Accountant Converted As Advocate Mr Saurabh N Soparkar , Mrs Soparkar, Mr Jayant N Patel Central Government Counsel ( then Turned to Justice in Gujarat High Court all joined hands with Justice Mr Mohit Shah order worth noting How cases are handled by Hon. Justices in Court . Very open fact. I was also one of the objector on record, no notice was given to me? Also moreover in Judgment written that 4 objectors had filed Pursis of withdrawal of their objection? Pusis are not on record on file. Many material documents are not in file .Just like pigeons feathers are there.?!! Losing faith in police and judiciary. RBI has one definition under the FEMA. The Income Tax Dept has one definition under the Income Tax Act. The Aadhar Act has a definition of "Resident" (but not of "Non Resident"). Also suggest ALL govt employees learn to write as simply as possible. Deepa Jain's reply shows this necessity. All writing should be clear and edited to remove ALL unnecessary words. Only Indians citizens can be NRIs when they stay abroad for so many days. How can foreign citizens of whatever origin be NRIs? OCI is a life long visa to India forIndian origin people, with the same rights and duties like Indian nationals who are residents. Only they cannot join the forces ro stand for elections. The definition of an NRI has been very elusive. I can think of three categories of NRIs. 1) People holding Indian passports, but living abroad. 2) People of Indian origin, with foreign passports, living abroad. Some of these people may have OCI cards. 3) People of Indian origin, with foreign passports, living in India. These people may or may not have OCI cards. Government of India, and the RBI, never had a unified definition of an NRI. Information Commissions (ICs) are proving to be bottlenecks in effective implementation of the Right to Information (RTI) Act, as per study reports of the last three years. This year, the study undertaken by Satark Nagrik Sangathan (SNS) & Centre for Equity Studies (CES) focused on orders of the Central Information Commission (CIC) as well as significant judgments from the Supreme Court and High Courts. orders given in violation of the RTI Act amounting to 60% of the orders. whether violations of the law were acted upon as per the provisions of the RTI Act. Good news is that only 7% of the orders analysed contained deficiencies in terms of not recording critical facts like information sought by the appellant/complainant: This is a significant improvement - a previous assessment of orders of the CIC from 2013 to 2016 had found that 63% of orders did not describe the information sought. In fact, the previous assessment had highlighted that many of the orders comprised just 2-3 lines, recording only the decision of the IC, without any reference to the background or the relevant facts of the case like dates, details of information sought, decision of PIO/ First Appellate Authority (FAA) and the grounds for the decision of the IC. In several cases, orders were not adequately reasoned: In several cases where information was denied, it was found that the orders were not adequately reasoned and could be said to be non-speaking orders. Several such orders merely summarise the contention of the information seeker and the denial by the PIO and conclude by stating that intervention of the Commission was not required, without explaining why the particular exemption was valid in the case and without weighing the necessary exceptions to the exemptions in the RTI Act. The phenomenon of ICs passing speaking orders is problematic as people have a right to know not just the decision, but also the basis of the decision. In fact, even the RTI Act makes it obligatory for a public authority under section 4(1)(d) of the Act, to proactively “provide reasons for its administrative or quasi-judicial decisions to affected persons.” Therefore, passing a non-speaking order, is a violation of peoples’ right to information and goes against the fundamental principles of transparency. Orders of ICs are often challenged before courts: The tests of legality, fairness and reasonableness become exponentially more difficult to pass when the orders do not speak for themselves and lack essential information, facts and reasoning. This is especially problematic as information commissions are often not made a party in legal challenges to their orders before the court (there are differing legal opinions on this matter), and therefore they have no opportunity to present any material in defence of their decisions, which are not contained in the original order. Deficient orders prevent effective public scrutiny and accountability of the institution of information commissions and the performance of information commissioners. Deficient orders also have little value in terms of furthering the cause of transparency outside the scope of the limited order. The study found that on an average the CIC takes 319 days to hear and give an order on an appeal/complaint from the date that it was filed before the commission. The huge backlog in the disposal of appeals and complaints by the commissions is especially problematic for marginalized sections of the Indian population who use the RTI law to try and access information about their basic entitlements like subsidized rations, old age pensions, medical facilities in hospitals and minimum wages. It is a daunting task for them to approach the information commission in case of denial of requisite information. The analysis of orders showed that long waits in the disposal of cases also resulted in PIOs who had violated the Act, not being penalised as the IC recorded that the PIO had since retired and a penalty could not be levied. Often the huge pendency is a result on non-appointment of commissioners in the IC. Even though, as of October 2018, nearly 25,000 appeals/complaints are pending in the CIC, the CIC has been functioning with only 7 commissioners since 1 January 2018. Four more commissioners, including the Chief Information Commissioner of the CIC are set to retire by December 1, 2018, which will reduce the strength of the commission to just three commissioners. The Central Information Commission, in March 2011, stipulated a norm that each single bench of the Commission will endeavour to dispose 3200 appeals/complaints per year. A comparison of the stipulated norm and the actual disposal between 1 January 2018 to 31 March 2018 shows that most commissioners exceeded the norm. If 3,200 appeals/complaints are to be disposed each year by a commissioner, it implies that each commissioner should dispose 800 appeals/complaints in a three month period. The RTI Act empowers the ICs to impose penalties of up to Rs25,000 on erring PIOs for violations of the RTI Act. The penalty clause is one of the key provisions in terms of giving the law its teeth and acting as a deterrent for PIOs against denial of information. Across the sample, an average of 56% orders recorded one or more violations listed in Section 20 of the RTI Act, based on which the IC should have triggered the process of penalty imposition. Of these 56% cases, only in 28% cases ICs issued notices to the PIOs asking them to show cause why penalty should not be levied. After show cause notices were issued, the subsequent order recording the final directions of the IC in terms of whether or not penalty was imposed, could only be found for 72% of the cases in which show cause notices were issued. Finally, penalty was imposed in only 4% of the cases in which it was potentially imposable. In terms of the amount of potential penalty foregone by ICs, the analysis of 549 orders showed that an estimated loss of Rs203 crore is being caused annually by ICs not imposing penalties. There is a growing tendency among adjudicators to exempt information from disclosure, citing grounds which are not provided for in the RTI Act. From among the appeals where part or full information was denied, more than 60% denials were in violation of the RTI Act, i.e. the IC denied information on grounds which are not provided for in the RTI Act. In several cases information is denied without citing any specific exemption under the RTI Act. . In some cases, ICs were found to uphold denial of information on the premise that information related to a third party or that the third party had not consented to the disclosure of information. This, despite the fact that Section 11 does not allow for ‘veto’ power to the third party and clarifies that the decision regarding disclosure is to be finally made by the PIO while keeping in view the submission of the third party. Who is using the RTI Act & for what? The assessment found that 91% of the appeals/complaints were filed by men and 9% by women. This broadly reflects the gender divide in terms of filing RTI applications. A previous assessment, on the basis of analysis of a random sample of RTI applications, had found that 92% of RTI applicants were male and only 8% female. All orders in the assessment were analysed to see whether information sought in the RTI application was such that it should have been proactively disclosed. Alarmingly, the assessment of the sample orders found that 44% of RTI applications sought information where, at least a part of the information if not all, was such that it should have been made public proactively, without anyone applying for it. This included information that should have been made proactively available under Section 4 of the RTI Act and information which even without the existence of the RTI Act should have been proactively provided (for instance, action taken on a complaint). Despite the large scale violation of provisions of proactive disclosures, the ICs in most such orders did not give directions requiring compliance with provisions mandating proactive disclosures. The manner of selection/nomination of Information Commissioners and the functioning of the entire system of Information Commission in the country would appear to be in need of the intervention of the Supreme Court. The RTI Act has not served the desired role and there are instances to indicate the manner in which the administration of the Act being deliberately thwarted by vested interest groups--both insiders and outsiders. From what I understand from my friend, Shri T Singaravel (IPS:1967:Mah), who was a member of the Maharashtra State Information Commission, there is need for urgent action to make the system citizen-friendly. 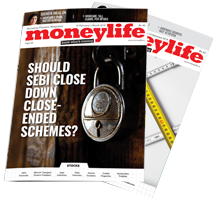 Moneylife may hear shri Singaravel on this issue.